Unpacking the Bowie Centennial Artwork. These are the three past panels which are stacked one on top of each other. 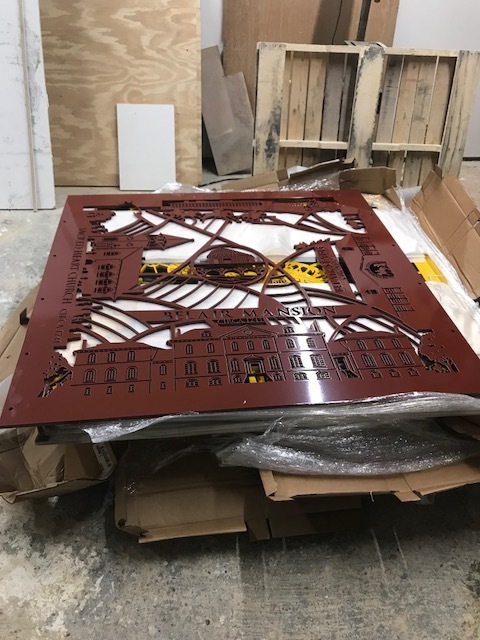 These panels together make a five foot wide by eight foot tall overall panel composition. There are Present and Future Panels as well. 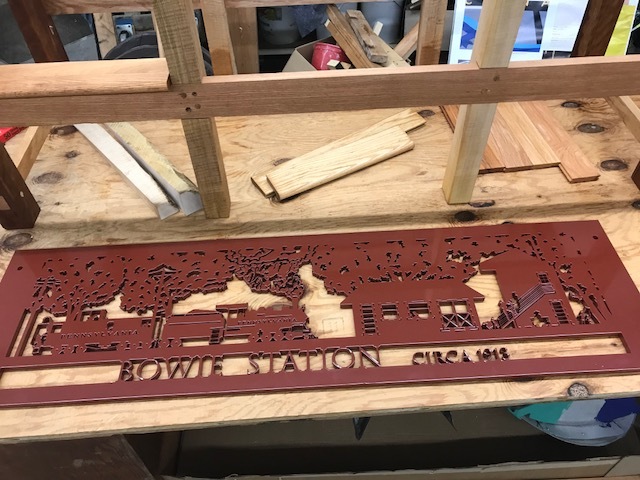 Installation will be later this month near the Bowie City Hall. Unveiling in October. Date still TBD. Newer PostThe Completion of "Bowie: Past, Present and Future"